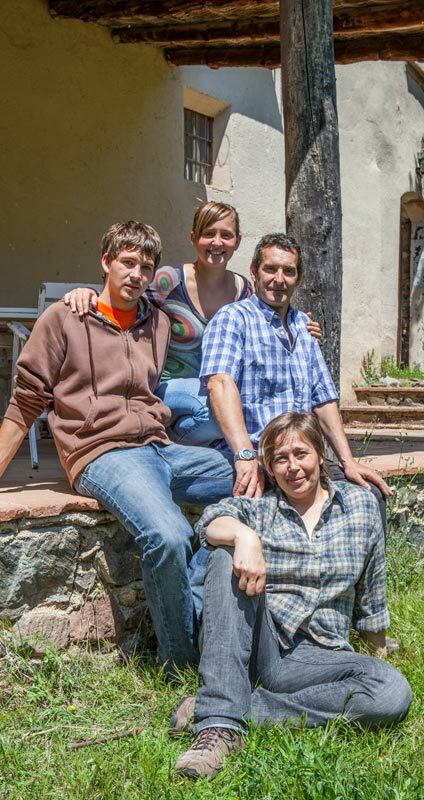 We are the Peruga-Fernandez family, the owners of the Vies Altes adventure park and the Mas d'en Gregori rural house. Since 2011 we manage over 120 hectares of forest and natural areas, with great enthusiasm and effort. This is where we set up Vies Altes sport park. It runs in the family; we’ve been part of mountain sport groups, mainly outdoors, for many years. 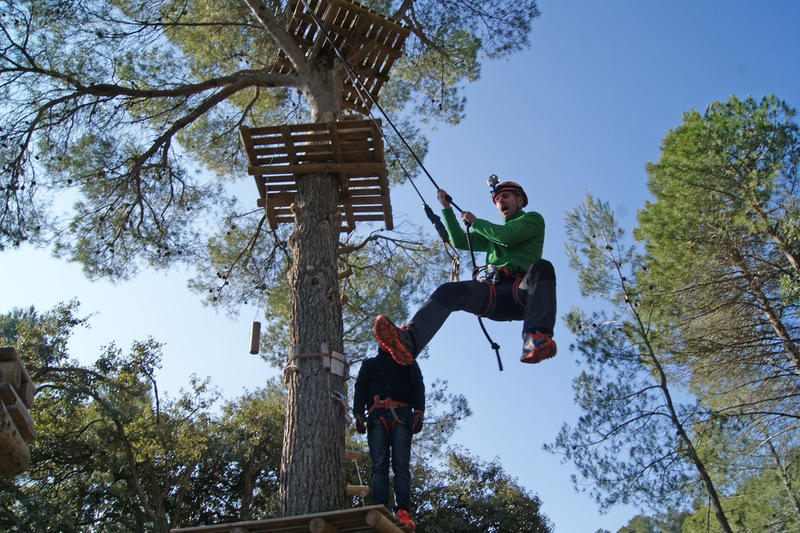 The origin of the adventure park comes from our enthusiasm and respect for the environment. We believe in what we do and we love it! Vies Altes helps us to share our dream with people. On the other hand, it allows us to revalue areas of the forest that are in disuse and to ensure it is looked after in the right way, running phytosanitary controls, cleaning, pruning, etc. 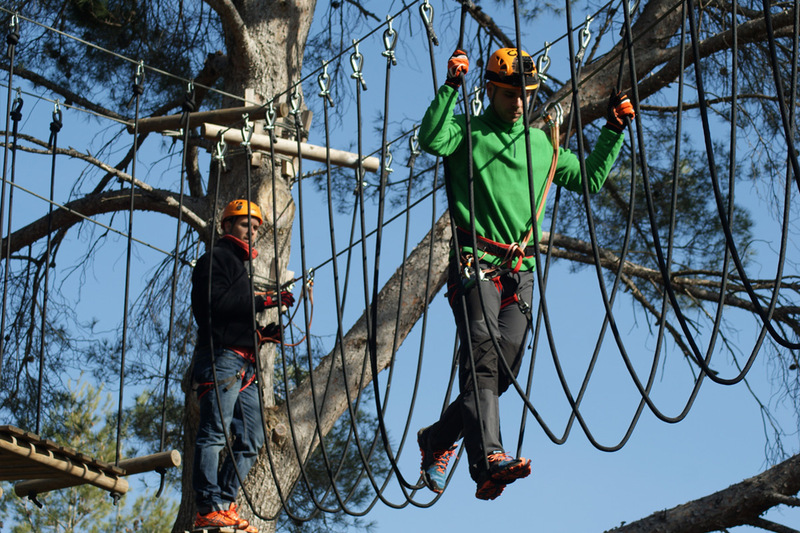 At Vies Altes Park we offer a fun activity and sport that allows adults to make childhood dreams come true, grow and evolve surrounded by big trees. 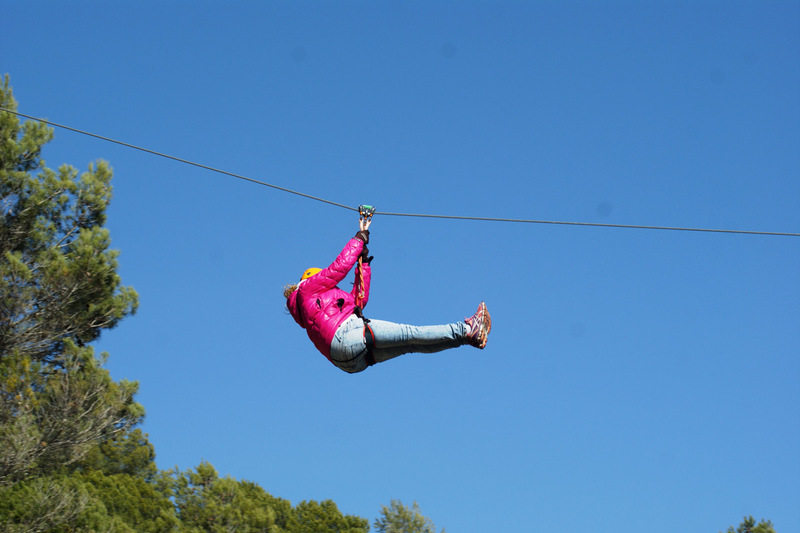 We offer an adventure and the opportunity to spend an enjoyable time breaking your routine, which provides unforgettable memories and sensations. "Walkways, bridges, nets and zip lines up to 180 meters. 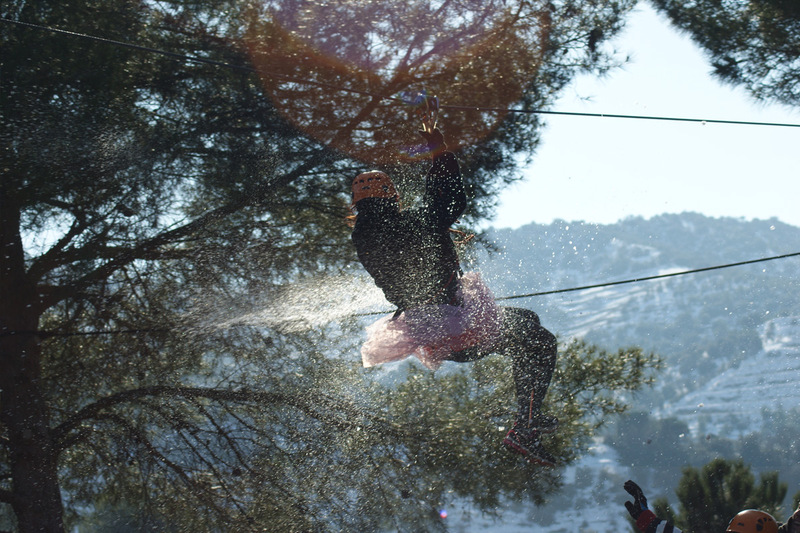 Live an eventful day and enjoy nature while playing sports in the heart of Priorat." We provide you your own safety equipment and we will teach you how it works. 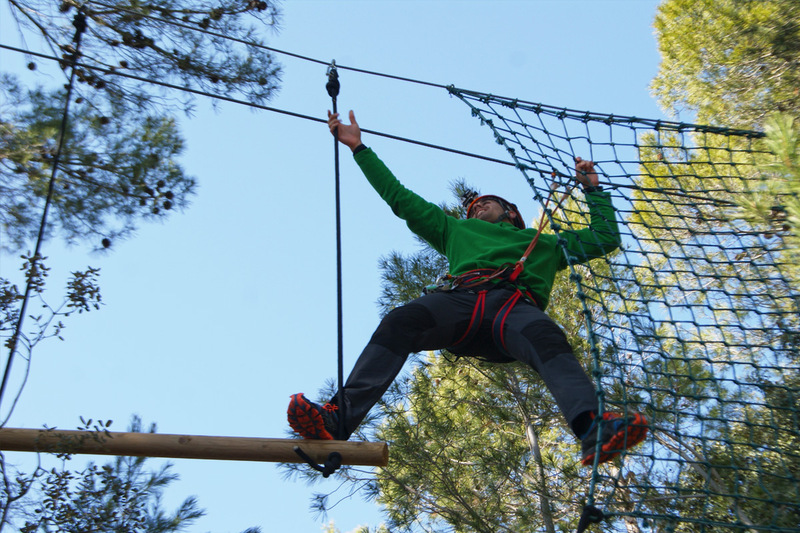 Our facilities are checked on a regular basis so you can enjoy the activities safely. Materials used to build the site and the safety equipment are all top quality. The assembly is handmade and tailor-made for us. No queues, no waiting, no crowds… this is the core of our adventure: wide spaces, views, nature and outdoors space. During the activity you will always be with us or one of our instructors who are trained within the company, and who will advise you and look out for you at all times. This often creates a close relationship, ending up with a close friend! For many years we been training on the mountain and doing sport activities in the nature and outdoors. We love adventure, we like what we do and we like to bring that feeling to the people who visit us. On the other hand, our park allows a new use of the forest and contributes to its maintenance. Adventure is excitement, it’s action and challenge, it’s a different experience that breaks your everyday life and bring emotions. That’s Vies Altes! 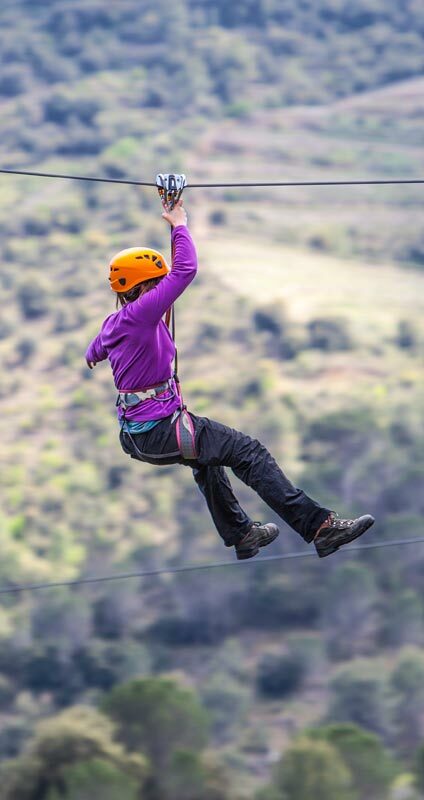 Live an exciting and unique experience, where you feel adrenaline, safely. A thrilling odyssey is awaiting you! Activities we are not used to doing on a daily basis are what bring action and emotion. This euphoric feeling that makes our heart beat so hard and fast! Happiness and adrenaline! Come here to discover it! Nothing! You can enjoy the activity without any technical level or sport knowledge, we offer a clear explanation of how to progress in the circuits, provided by specially trained monitors. All safety equipment (harnesses, ribbons, hooks, pulley, helmet ...) what we call IPE (Individual Protection Equipment). Yes, you need to book at least 24 hours in advance , so we ensure that we can serve a monitor and not have to wait. We will confirm you by e-mail or telephone the booking of your adventure . What are the instructors for? The monitors provide the user with the knowledge to perform the activity and do supervision and control tasks. They have the power to decide when a visitor can carry out an activity and when not. I am underage, can I go? It is required carry out the activity accompanied by an adult, if there isn't your parents you need to carry an authorization. If you come alone, you can make a reservation, always with permission, and we provide a Vies Altes monitor. Comfortable clothes and / or sports, also for shoes (better closed).